Discussion in 'Misc.' started by ad-team, Sep 9, 2018. 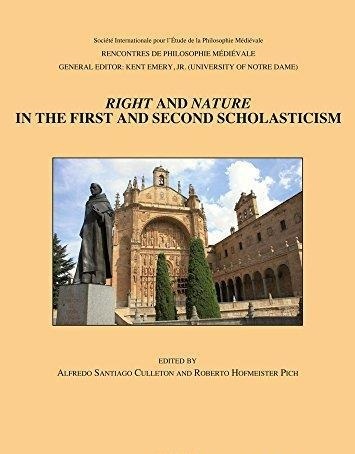 Authors of the 'Second Scholasticism' (as discussed in this volume, at least, mainly Iberian philosophers and theologians of the sixteenth and seventeenth centuries) not only commented on the works and updated the teachings of medieval Scholastic masters, but also introduced many new ideas in all areas of philosophy, namely logic, natural philosophy, metaphysics, moral philosophy, political philosophy and the philosophy of law. In particular, issues arising from the "discovery" of the New World presented new challenges to these thinkers, provoking various reactions among them and causing them to develop new interpretations and theories, especially in practical philosophy and theology. In this volume, scholars from Europe, North America and South America identify and describe some of the main topics and central lines of thought in this still quite unknown chapter in the history of philosophical ideas. The contributors focus on the reception and development of Aristotelian-Thomistic and (to a lesser extent) Scotistic political theory, natural law, positive law and the law of nations in the sixteenth and seventeenth centuries; some authors, moreover, address issues in the development of metaphysics during the same period. For the most part, the studies presented here concern the writings and thought of masters from the Universities of Salamanca, who responded to new questions and conceived new theories in political philosophy, law and moral philosophy closely related to the issues pertaining to the Spanish and Portuguese colonies in the New World.